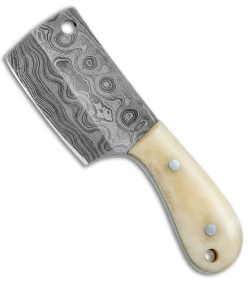 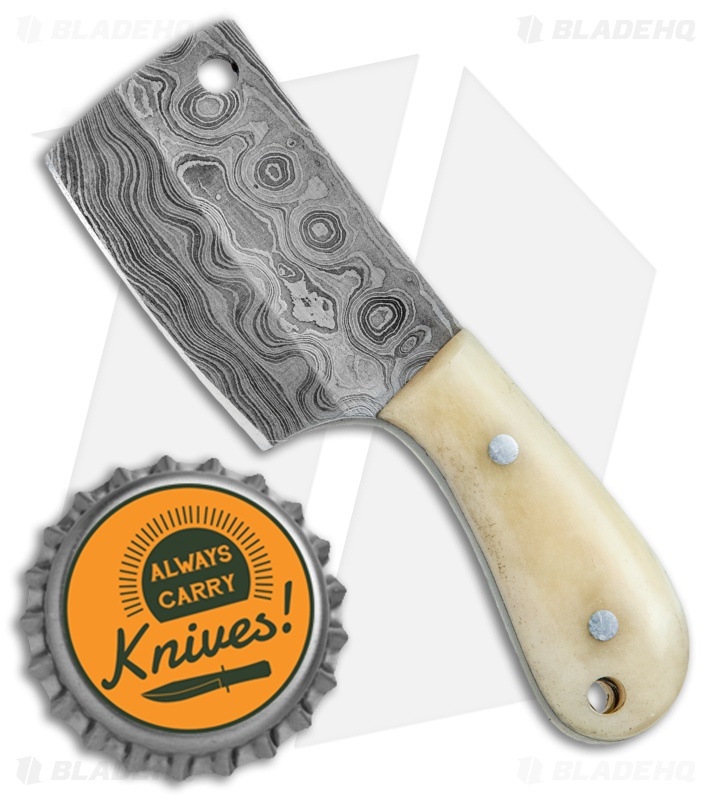 This Pocket Cleaver model is outfitted with a damascus blade and a bone handle. The Tallen Pocket Cleaver offers a fun miniature design with a damascus steel blade and a fully function edge. 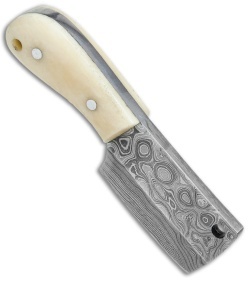 It has machined holes at the base of the handle and the top of the blade for attaching to a lanyard or key chain.